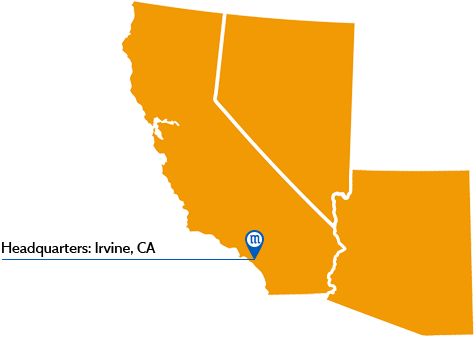 Headquartered in Irvine, CA, McKinley Equipment provides sales, service and installation of warehouse and loading dock equipment throughout California, Nevada and Arizona. Our New Equipment Sales and Installation team of experts work with you to discuss needs and determine the solution which is the best fit for you. 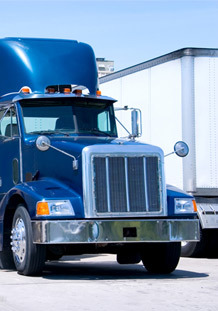 We represent a complete line of the top manufacturers in loading dock equipment, doors, industrial lifts and other warehouse equipment like big fans and safety products. 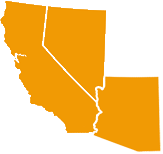 Our team of factory-trained technicians provide expert 24 hour emergency repair and maintenance service to all of California, Nevada and Arizona. 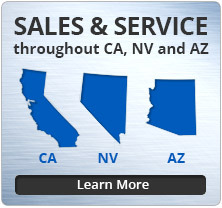 For all other products we offer sales and installation throughout the entire states of California, Nevada and Arizona. 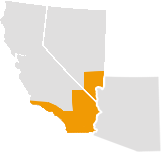 We self-perform our equipment repair and retail store maintenance services throughout the states of CA, NV, AZ. The McKinley Equipment service team are trained and skilled in repair and maintenance of all manner of retail equipment found in retail stores and facilities. See the list of retail equipment here. 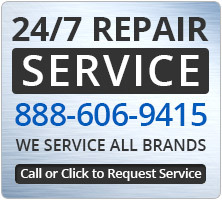 We provide 24 hour, 7 days a week emergency repair service and are always prepared to keep your store operating.